Kris Delacruz of Pilipino Vocal rehearses (Codi Mills photo). 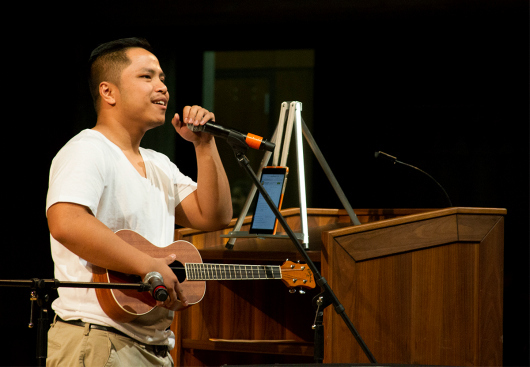 An international kaleidoscope of the visual and performing arts is planned for “The First Annual Cultural Showcase,” to be held 6 to 9 p.m. April 17 at the Student Union Barrett Ballroom. 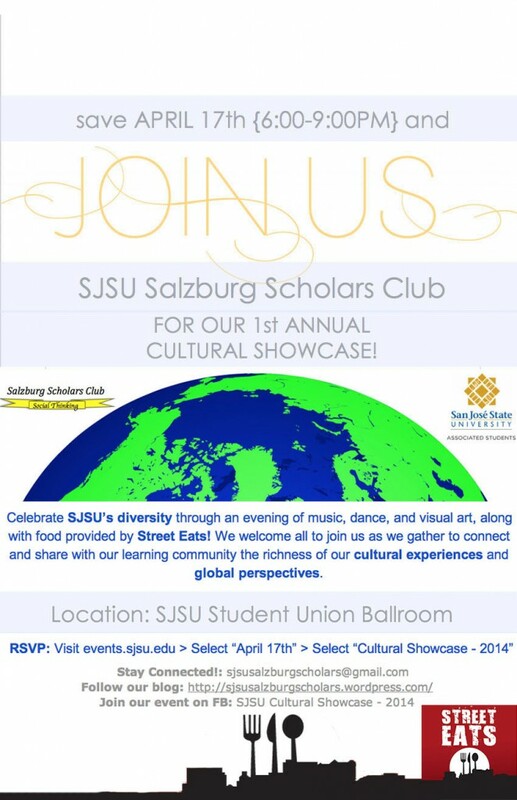 The event is free and open to all SJSU community members. Even the refreshments will be on theme; Spartan Shops’ Street Eats will sell fusion tacos. 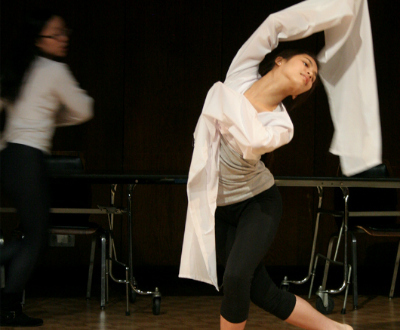 We have students who will be performing traditional dances from China, Mexico and Eritrea, and students showcasing modern ballet, traditional Filipino music, German, Italian and French opera, and so much more,” said Mary Okin, ’15 Art History and Visual Culture, and a Salzburg Scholar. San Jose State selects approximately a dozen students annually for the SJSU Salzburg Program. Scholars spend a week over the summer in Austria, where they attend an intensive global citizenship program. All scholars commit to promoting global citizenship right here on campus, and the 2013-2014 cohort is making good on its promise by collaborating to produce what the group hopes will become an annual event. The lead organizer is Erin Enguero, a kinesiology major, Salzburg Scholar and recipient of the 2012 William Randolph Hearst/CSU Trustees’ Award for Outstanding Achievement.